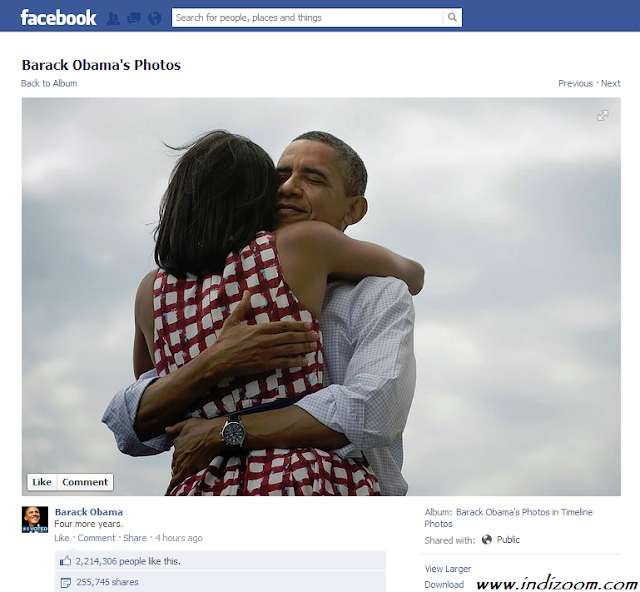 Barack Obama’s celebratory messages on Twitter and Facebook rapidly went viral Tuesday evening, garnering hundreds of thousands of likes, shares and retweets in short order. Obama’s team uploaded the same photograph seen in twitter on his Facebook page as well with a similar caption and that has become the most-liked photo of all time with over 2.2 million likes. 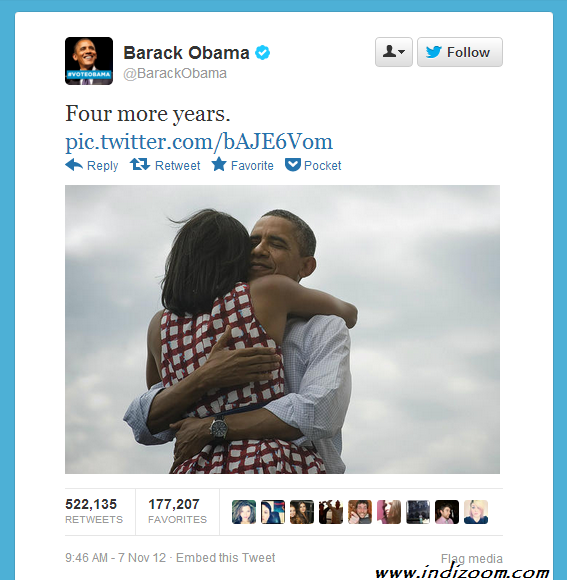 Obama’s tweet – “Four more years” – is now the most retweeted tweet ever on Twitter with over half a million retweets.